Claas Helmke is a partner at Wermuth Asset Management. 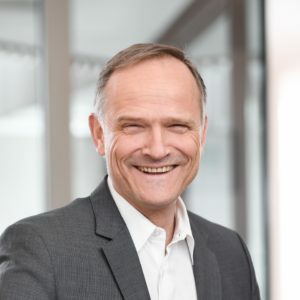 Prior to joining WAM Claas was CEO of Solar Valley, a German think tank in the field of renewable energies and energy efficiency, after being Chief Marketing Officer at Masdar PV, an UAE-financed photovoltaic module manufacturer in Germany. Claas started his professional career as a research coordinator at the Joint Research Centre of the European Commission, and to date has 20+ years of experience in management positions with renewable energy start-ups. Claas graduated in Mechanical Engineering at the University of Applied Science in Trier, Germany, and holds a Ph.D. in Electrical Engineering from Newcastle University, UK.